Unless you are an accountant, you probably didn’t start your business with the hopes that you could verify time cards and write checks. Using payroll software will allow you to simply put in the numbers and let the program take care of the rest. Allow your software to make the calculations instead of having to pore over charts and tables all day long. Your options as a small business owner are to either hire an accountant, or to do your payroll yourself. By using payroll software, it is like having your own accountant without having to pay someone to keep your books. Some estimates claim you can save up to 150,000 dollars a year by automating your payroll operations. When you are a small business, every penny that you can save is going to be critical toward making your business a thriving and successful endeavor. Small business software can do the job just as well and for a fraction of the cost. A payroll program like QuickBooks can be had for around 20 dollars a month. There is more to doing payroll then simply adding up the hours worked and paying your employees. You have to be sure that you are taking out the payroll taxes and keeping track of benefits paid out. With small business software, you can ensure that your payroll is being done right and being done quickly. Most small business payroll software programs will even print out completed tax forms as well. This means you don’t have to sweat the W-2 not being done, or the 1099 tax form not being sent out on time. When your payroll is done correctly, it can save you, and your employees, a lot of stress. 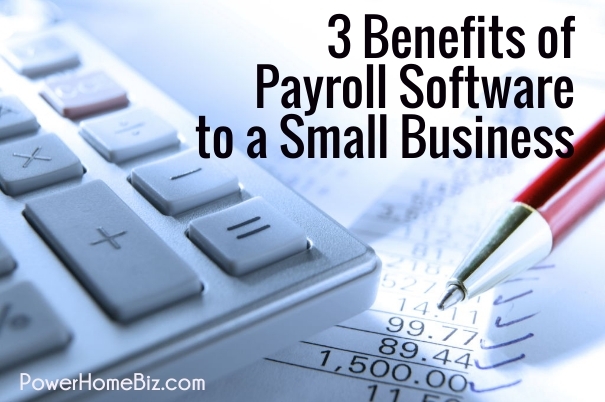 If your small business has not looked into using payroll software to make doing business easier, it really should check out what is available. Businesses that can be run quickly and efficiently will always manage to survive longer than those that cannot. The technology is out there to make doing your payroll quick, efficiently and correctly. It would behoove you to save yourself time that can be better spent serving your customers.